With a simple flip of a switch, you can have a fire with gas fireplace inserts. Enjoy real flames, but without the trouble of solid fuel. No firewood. No pellets. No ash or soot. Just a clean burning, warm and attractive alternative. 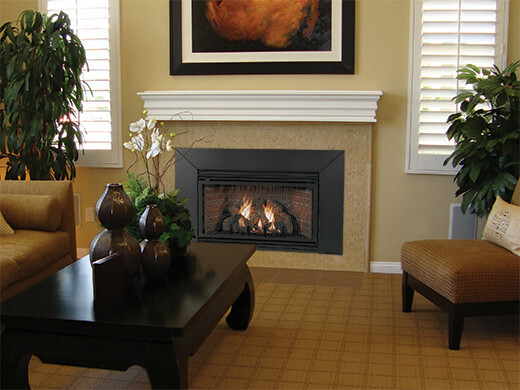 Gas fireplace inserts produce heat and produce a constant flame on fake logs. There are generally two types: unvented units or vented units. Vented units are considered safer. They pull in outside air to keep the flame burning. Unvented units have a higher efficiency because they allow less heat to escape.